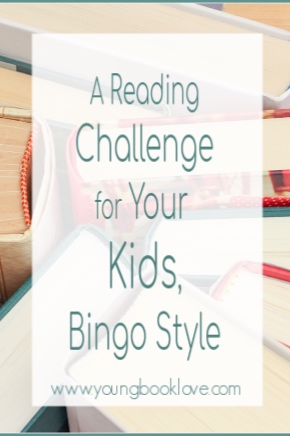 A Reading Challenge for Your Kids, Bingo Style! Confession: I am a sucker for New Year’s resolutions, or goals as I like to call them. Last year I set a goal to read 100 books in 2018; the week before Christmas I finished Frankenstein to complete it. This year I’m going for 100 again. I like setting a number, but I hold it loosely. I don’t want the pressure of reaching my goal to detract from the joy I find in reading. I’ve talked to my kids about setting reading goals too. While I don’t want them to feel pressured by the goals, my hope is that they will be motivated by them. Some have set a number, some have said they want to read more nonfiction, others have ignored the idea completely. I am good with each of their responses. I want the idea of a reading challenge to be fun and if it’s not, then I don’t want them to do it. For those who have set goals, I do what I can to help. Whether that means helping them start a notebook to track their reading or to periodically ask how they are doing. It’s fun to talk about (at least for me) and it’s one more way we can connect over books and reading. Anne Bogel over at Modern Mrs. Darcy is hosting a different kind of reading challenge. She provided a list of 12 different categories and invites readers to pick books based on those categories. I like this type of reading challenge too. It encourages readers to branch out and look for books they might not otherwise have discovered. It also feels doable. Inspired by Anne, I created my own reading challenge for your young reader. If setting a number goal is uninspiring, maybe this challenge will feel motivating and doable. To complete, your child needs to pick five categories from a row on the board, find books to fit those categories and then start reading. It’s simple. 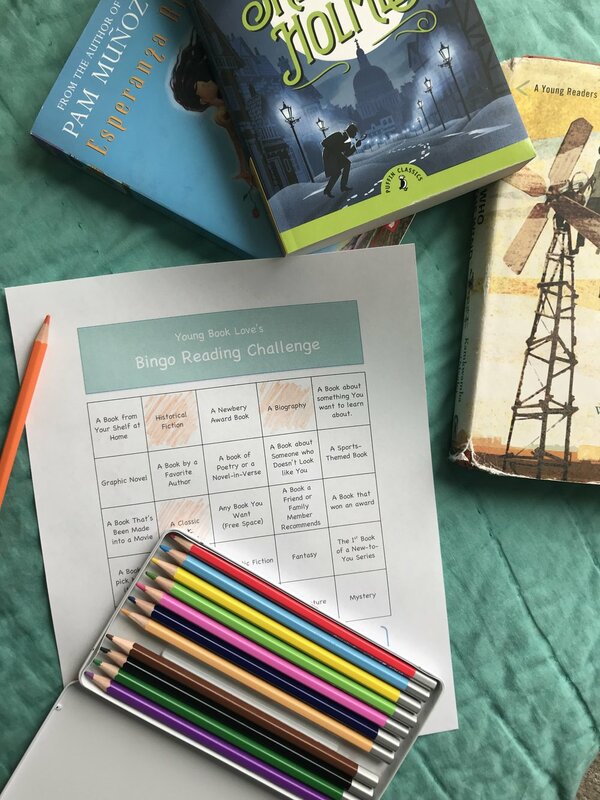 It’s a reading challenge, Bingo-style. I know by the time this post releases, it will be the middle of January, but let’s face it ANY day is a good day to set a goal or start a challenge. If your child is interested in joining the Young Book Love Reading Challenge, simply follow this link and print it off. I hope this simple tool will bring a spark to your child’s reading life and help them discover new books they might not have otherwise. 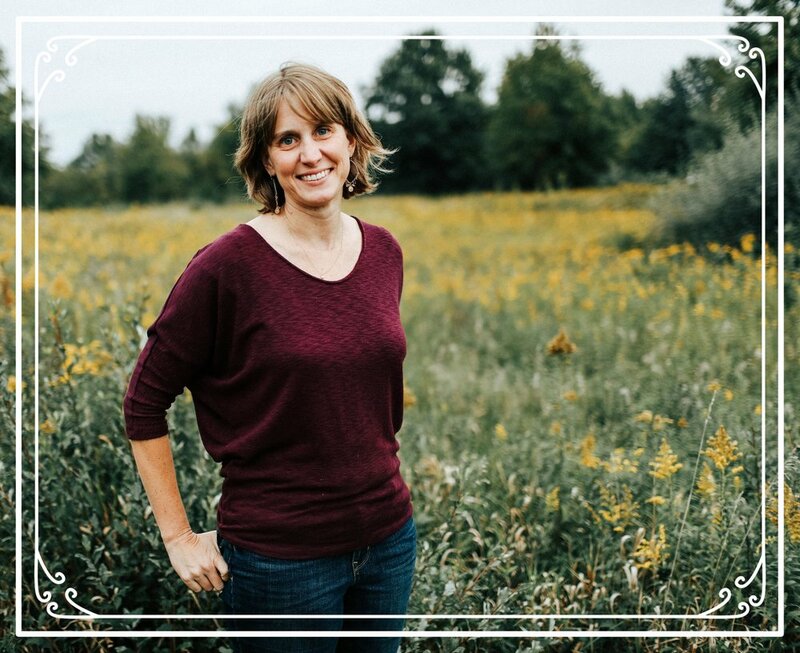 As we continue in to 2019, I’m looking forward to sharing more of my favorite bookish discoveries with all of you. Cheers to discovering books our kids will fall for! Happy New Year friends and Happy Reading.